12/16/10 The big room here at RCM is full, Lord. It’s cold outside, people are edgy, and I’m not sure there’s enough space for another person. We squeeze them in as best we can. Safe and warm, but not always peaceful like we want. Sometimes people leave because they can’t get in. Sometimes the presence of the evil one sneaks in and those seeking You have to go elsewhere. I’m glad Toshua stayed, today. Toshua, Lord, You know her. Twenty-three years old. Raped at 11 years old, watched her mother murdered before her very eyes at fourteen because Mom didn’t pay the drug man. She didn’t pay, one too many times. But not before her mother tried to pay off the drug man with sexual favors from Toshua starting at age thirteen. “One night, after they raped me, repeatedly, they killed my mother in front of my face.” I asked about her father. “Prison.” “I’m depressed, I haven’t been taking my meds, not for that, and not for my diabetes either. I can’t keep living like this. It’s hard for me to trust people, bro. Anthony, ‘cause of what they did to me. I want help.” She cried. So now, after coming to RCM, Lord, finding You in the big room, Toshua’s got a doctor’s appointment, a meeting set to help with her mental state, a place to stay, and job leads. But the best part Lord? Toshua gave her life to You. Today. I found her this morning in the big room. She was waiting for me. After her immersion, she smiled, “A huge burden has been lifted, and with Jesus walking with me, I know He’ll lift all my burdens. I feel clean.” Toshua loves You. She’s now Your child. Lord, as You promised, give her all of the blessings that come with the abundant life in Jesus. Put Your arms around her. Warm her soul with the light of Your love. Let Toshua know You can be trusted, that Your promises are true, and You are good for them. Thank for one more soul ending the old life for one brand new. Thanks, Lord, for allowing one just more into the Big Room. I thank You, Lord, for Your Big Room in heaven that ever expands, like the universe, to allow in one more. And, once inside, each finds that there’s plenty of space for another. I am thankful that Your Spirit in the RCM big room is more powerful than the evil one, so that our people can find You. 383 who learned more about their walk with You in Disciple’s Class. Thanks, Lord for the marvelous way You make Yourself available to us, so that we may help make You available to the poor and homeless. We at RCM, look forward to a new year being Your presence among those whom Jesus dearly loved. Thanks for Your love Father, for Your guidance Holy Spirit, for Your willing sacrifice Jesus. Praise God for River City Ministry! If you’d like to receive updates like these from Dr. Wood, send an email to awoodxulon@yahoo.com requesting to be added to his list. A note from my friend Anthony Wood – the evangelist for River City Ministry. RCM is a ministry to the poor and homeless in North Little Rock, AR, and my dad has served as executive director there for many years now. Carol, Lord, remember him? You know him because he talks to you everyday, all day long. He came into my office to share how You work in his life. He went to River City Church yesterday after rededicating his life back to You last Thursday. He enjoyed himself and appreciated the fellowship. Here’s the good part, Lord. Carol gave all that he had to live on. Seems like I read somewhere about a widow who did that. Anyway, Carol left church and walked towards the river bridge and came upon a couple of ladies handing out fliers about their church feeding the homeless in the next few weeks. He thanked the kind ladies as his stomach growled. One of the ladies turned and said, “You must be hungry, God is telling me to give you this. Get yourself something good to eat.” It was a ten dollar bill. Lord, Carol gave his all and You returned to him 3 times back what he gave to You. He looks for You. He listens for You. And, Carol sees You. He hears You. He follows You. He obeys You. Lord let me practice Your presence, every moment, of every day, looking for You, listening for Your voice. But seek first his kingdom and his righteousness, and all these things will be given to you as well (Matt. 6:3, NIV). Anthony regularly sends out updates like this. If you’d like to be added to the email list, send him a note at awoodxulon@yahoo.com asking to be. 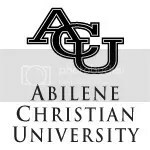 Abilene Christian University is on the cusp of a new faith era. The school is preparing to host its first student body with a majority of students coming from denominations and faiths other than the Church of Christ — the school’s cornerstone denomination since its founding in 1906. Last year was the first time the school had a freshman class with a majority of students — about 53 percent — who don’t claim affiliation with the Church of Christ. This fall’s freshmen have the same proportion. The article says the reason for this change in the makeup of the student body is because the Church of Christ is losing membership nationwide, and young people are bucking denominational loyalties. Interesting take, though I wonder if that’s the real reason. I’m curious if other traditionally Church of Christ schools are experiencing the same type of thing … does anyone know? More good stuff from my buddy Anthony Wood – RCM’s evangelist. This is an amazing, true story from the streets of North Little Rock. Lord, what’s it like to save a life? You’ve done it so many times. What’s it like to see death coming for someone and then, You rescue them, save her life, without them really knowing what has happened until it’s over? What’s like to know, that without a shadow of doubt, someone has entered the shadow of the valley of death, with no exit in sight, and be lifted up and out of the pit? You do this quite often. Thanks for letting me watch. Some people call him Joe, but his name really is John. He’s a good man with a devastating problem, and fatal. He’s been an alcoholic for quite some time, but that’s all changing now. Because, of You. A couple of weeks ago John called me over as I walked across RCM’s parking lot. He said, “I only want to ask one thing of you Bro. Anthony.” I said, “Sure, if I can.” With a cold stare he spoke, “I only want you to pray for my soul because what I’m about to do I know is against God. Today is the day.” I asked, “Ok, what is it?” He stared, “I’m not telling you.” I smiled, “Then, I’m not praying for you.” Lord, I rarely do that, I mean, not honor that type of request, but it was my first mind and I credit Your Spirit with that answer. I stared back, and he was the first to blink, “Ok, I’ll tell you.” I took him to my office. He finally broke and agreed to go to the ER, thanked and hugged us when they took him back. It wasn’t long that he called threatening a lawsuit and asking why we did this to him, meaning lockdown. Well, of course, we didn’t make that decision. He did when the doctors reasoned that he was a danger to himself and others. They locked him down, the best thing that could’ve happened to him. A Saturday night a couple of weeks ago, while John was trying to sleep, he heard a ruckus next door to his apartment and a woman screaming. He got in the door to find three men hovering over a woman, naked on the floor, high from the drugs planted in her drink, and a table on top of her they has just thrown to hold her down. John, Lord, stepped I, like You did for him, and told the guys he wasn’t going for it. He picked her up, as their mouths hung open, left, clothed her, and put her on the bus with a bit of money to continue her escape. The next day, Sunday, John came to Clint to say, “I’m ready. I’ve put this off for too long but now I’m ready. I want God to have all of my life.” So Lord, You rescued John yet again, but this time for eternity. The new John, surrendered, come up out the water leaving the old corpse of sin in the grave. Lord, You are a rescuing God, and I guess that’s because that’s just the way You are, and how You want us to be. We at RCM, because You lead us, rescued John, and in turn John rescued that lady, and in turn You rescued John from Satan and sin. And by the way, Lord, thanks also for rescuing Bill last Sunday afternoon, whom You saved when he took the pile of pills to kill himself. You sent the police to find him behind an abandoned building that few people frequent. He woke up in the hospital alive. He still struggles, but he believes more in You now. You, Lord, the Great Rescuer. Thanks for letting me just be a servant boy in Your kingdom work of rescuing people You love. To subscribe to Anthony’s updates from RCM, send an note to awoodxulon@yahoo.com requesting to be added to the MissionMessage email list.